So I had a sudden brainwave today and realised that I could try to compiled an older version of onscripter-en for iPhone and see what happens. The newer ones I managed to compiled just wouldn’t work and crashes as soon as it is run. I managed to get a working (but rather old) version of onscripter-en to compile after some changes to the source code (mostly commenting out stuff). 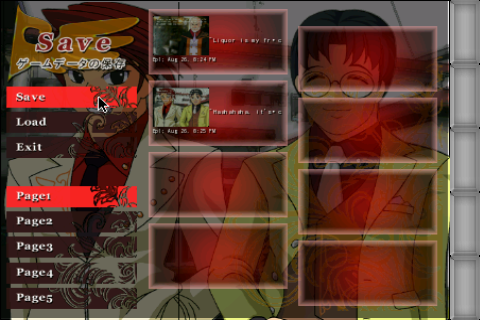 Now Umineko no Naku Koro ni seems to work without any problems (although I can’t save right now, and sometimes an annoying black line appears on the screen when sprites appear). Red text etc should work as green text works. 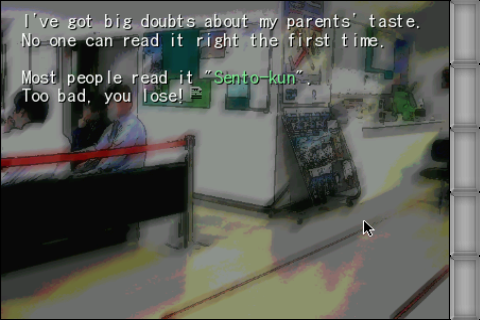 So after I fix the saving problem, I’ll write up a tutorial for Umineko. UPDATE: I’ve fixed the saving problem. Expect a release/tutorial soon. 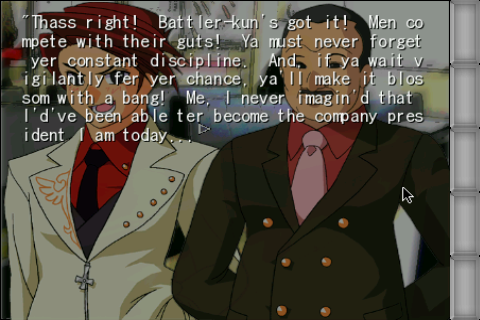 UPDATE 2: Also works for Umineko EP6. Too bad there’s still no wordwrapping, I’ll see what I can do. I was just thinking about Umineko on iPhone/iTouch a few days ago after I read EP7 and I’m really glad to see it’s working! I would LOVE to play on the go without the need for a PC. Keep at it man! I hope you’ll also do the other ones (EP5+) when they’re complete even though they function a bit different from previous releases (file structure changed at least for BGMs). Maybe even an “incomplete” while we wait for EP8 to be released at the end of the year and also the translation of EP7 and EP8. When you say it currently works for EP4, I assume it’s EP1-4 and not only the EP4 portion of Alliance of the golden witch? Thanks for the encouragement. Yes it was EP1-4 that I tested. I’ll give EP6 a try when I have time today. This is really interesting. Are you designing this with support for the Retina Display’s higher resolution in mind? Unfortunately I do not have an iPhone 4 but there’s no reason why its higher resolution cannot be taken advantage of. I’ll add an option for higher resolutions in the converter that I’ll release. Is this still in development? I’m really interested in reading Umi on my iPod! Oh, RAD. Thank you so much for all your work!